Do you have a pair of Red Wing boots which have seen better days? Are you thinking about buying a new pair? Did you know Red Wing boots sizing can vary for each pair they make? It’s not just a case of buying the same size you already have. According to the manufacturer, Red Wing Shoes, you should get measured each time you buy a new pair of Red Wing boots. Your feet can change over time and the boots can vary minutely in size. Let’s take a look at the Red Wing boots sizing charts, how they fit, and some tips for fitting them. Red Wing supplies a generic sizing chart for its boots. The sizes for both men and women can be viewed here. 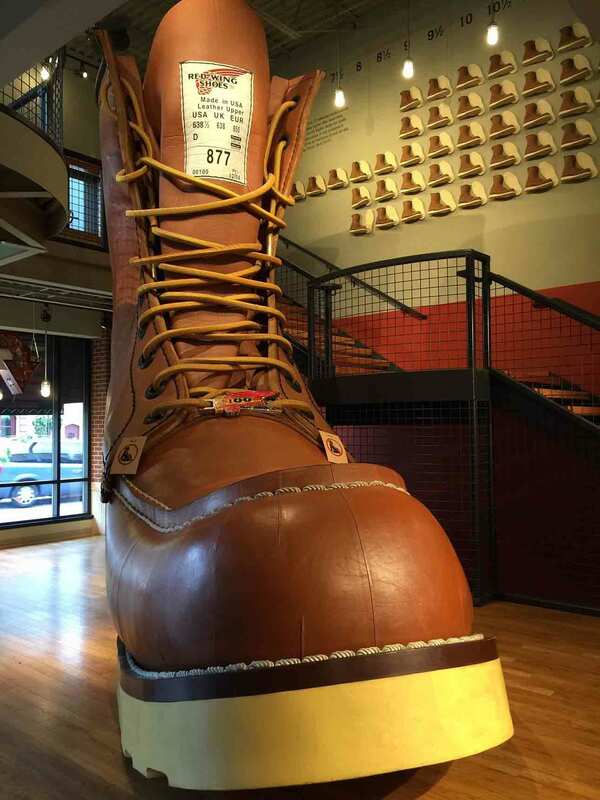 What Red Wing does recommend is that you visit one of its stores, where your feet can be measured properly. The company employs certified fit specialists who will tailor boots to your feet. Their measuring system can identify your correct foot size, width, and even how much arch support you need. It will highlight potential pressure points, to ensure a good fit. The majority of Red Wing boots come in a D fitting for men and a B fitting for women. Some styles, like the men’s six-inch safety work boot, are sold in an EE width, with other widths ranging from A to 3E. The sizes offered range from a size 5 through to a size 11 for women, with half sizes in some styles. For men, there are sizes from a 7 through to a 16, depending on the style. Some styles of men’s boots are also available in half sizes between 6.5 and 11.5. There are two styles for Red Wing boots: those which lace up and others that pull on. Fitting for each has its own challenges and things to look out for. Let’s start with lace-up boots, like the Heritage Moc Toe. When you try your Red Wing boots on, wear the socks you intend to use every day with them.Trying them on with socks which are too thick could result in boots that are too big. Socks that are too thin will result in a tight boot when you need to wear thicker socks for warmth. Do you have any problems with your feet which means you have a custom orthotic to wear in your boots? If so, make sure you take this along when you try on your boots. Likewise, if you plan to wear insoles, take them with you. Both of these reduce the amount of room in your boots and affect the overall fit. Warm weather, standing for long periods, and even sitting down all day can cause your feet to swell. Trying on boots in the morning when your feet have rested all night is not a good idea. Aim for boot shopping later in the day. You wouldn’t buy a motorbike without taking it for a test ride first. Similarly, don’t buy boots without first walking around in them. Lace them up and go for a walk around the store, or stroll around your home in them if you buy them online. There are different ways to lace Red Wing boots, to enhance their fit. For example, you can skip eyelets to relieve pressure on the instep, toes or ankles. This video shows you some of the ways this can be done. In lace-up styles, you should not feel any heel slip in your boots from the get-go. The laces should hold your foot securely in place. Blisters or corns can form when there’s not enough room for movement. You shouldn’t feel pressure across the toes pinching them or feel any of the seams in the boots. Give a little wiggle (that’s your toes, not your tush, by the way), to ensure they have the freedom to move around. If the boot has a removable insole, take it out. When you stand on the insole, your foot should not spill over the side and your largest toe should have a quarter inch clearance. Longer boots can rub your calves and make them sore if they are laced up too tightly. Make sure you tie the laces so they are snug but not too tight. For pull-on boots, like the Engineer or Chelsea style boots, the same tips apply as outlined for lace-up boots—take your insoles or orthotic and socks and visit the shoe store later in the day. Toes should have the freedom to move and not feel pinched. Don’t expect your foot to slip into the boot easily. On the other hand, you shouldn’t have to force it in. You need to apply gentle pressure to push your foot down, through the heel section and into the footbed of the boot. Once your foot is in, the instep needs to feel snug and secure. It should not feel tight. You shouldn’t be able to pinch excess leather at this point; if you can, then the boots are too large for you. A small heel slip is common when wearing new pull-on Red Wing boots. It should not exceed about a quarter-inch maximum. Once your boots are broken in, the soles will be more supple and the heel slip should stop. In the same way, you need to apply a small amount of pressure when putting a pull-on boot on, they should be a little harder to take off than a lace-up. Choosing a Red Wing boot with a safety toe cap means you need to make sure your foot sits in the correct place in the boot. If you don’t, it will aggravate your toes. The ball of your foot needs to line up with the footbed at the widest part. When you bend your foot, the shoe should bend or flex just behind your toes. You can check this by squatting down and making sure the bend is in the right place and your toes are not pinched. Protective toe caps are usually roomier in the toe area. Check that your toes are not too far back. If they are, they might not be protected if something falls on your foot. 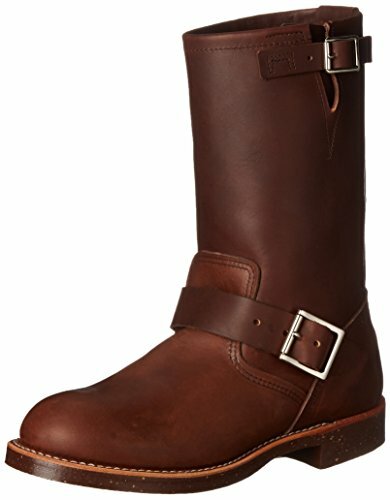 How Should Red Wing Boots Fit? Red Wing boots should feel snug, with little or no heel slip, and enough room for your toes to move. If it’s your first pair and you are used to wearing sneakers or less structured boots or shoes, it might feel a bit odd at first. Do Red Wing Boots Run True to Size? Opinions differ as to the sizing of Red Wing boots. Depending on the style, they can run either true to size or a half a size larger than expected. The best advice I can give you is to try them on, referring to our fitting tips for guidance. 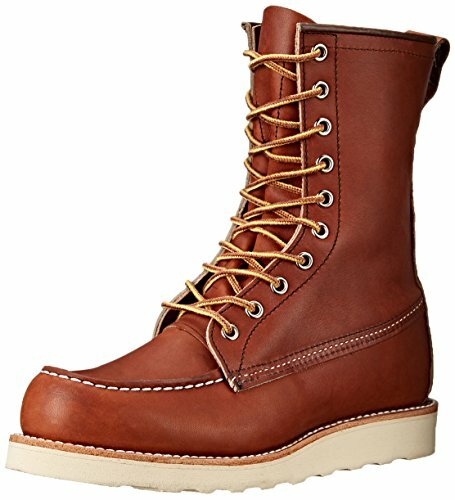 Where Are Red Wing Boots Made? Red Wing boots are primarily made in the USA, from leather sourced from the company’s own tannery. The company has been producing quality boots for 110 years. Red Wing boots are available in a wide range of styles and sizes. You will find work boots, motorcycle boots, casual boots, and dress boots. There is a good selection which can be found here. With lace-up, pull-on, and safety toe caps on offer, there are different tips for fitting the various styles of these boots. You can visit a Red Wing store for fitting, or follow the hints in our guide when ordering online. We hope you enjoyed our tutorial on Red Wing boots sizing and found it useful. Please leave us your comments and insights, we would love to hear from you. Don’t forget to share with other Red Wing fans.